The earliest book of burials has been filmed. It covers the period of September 18, 1971 to Dec. 31, 1910. A copied of the film has been placed in the Lorette Wilmot Library of Nazareth College (Pittsford, NY). A copy of this film may also be rented from LDS Family History Libraries around the world. Ask for film #1,430,999. These burial records include: date of death, date of interment, place of death, parish, nativity, cause of death, grave location. 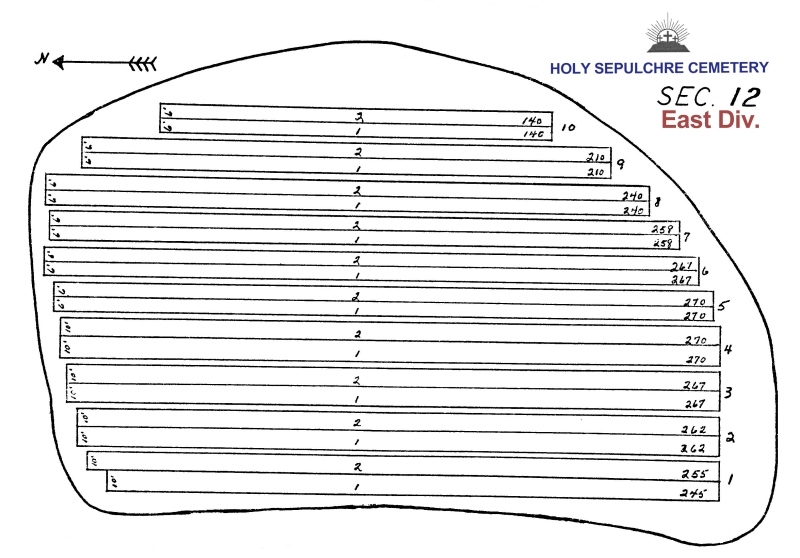 This section is all single graves that were probably sold within the first few years of the existance of Holy Sepulchre. A few years ago, the office at Holy Sepulchre put their records on a computer. They also put a kiosk in their lobby with the records. Because of problems with the burials locations in this section none of the records for this section are on the Holy Sepulchre computer including the few later burials (like Mary Ann Kase). 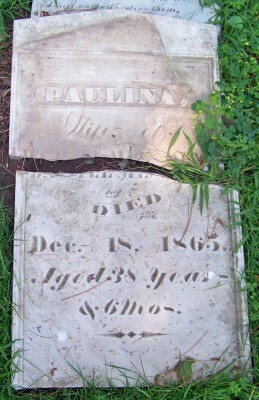 Very few of the burials in this section have tombstones. There are large areas with no tombstones at all but this section is probably full of burials.